Last fall, my sweet Mum sent me a greeting card to keep me pumped during the campaign. The front had a little animated character with a bubble saying “Three of my favorite words?”, and then when you opened it up, the card finished, “That’s my daughter.” Mum’s handwritten note underneath says, “It just fit how I feel about you.” I keep on my desk in my office because it always give me a little boost of joy in the morning. So today, what are three of my favorite words?….That’s my Mama!! 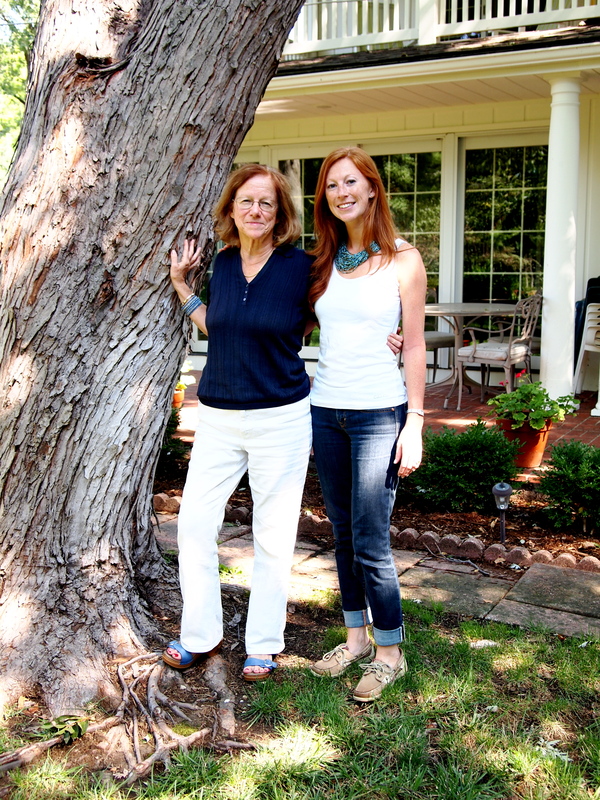 Meg and Mum, enjoying a sunny day in the backyard in Kansas City, Summer 2012. 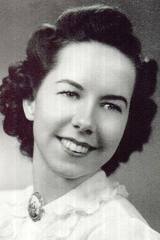 My beautiful Grandmom, Kay Mesle. I have no idea what year this picture was taken, but I would guess sometime in the 1940s. Nothing can compare to a mother’s love. I feel it from Mum. I still feel it from Grandmom. It’s calming, reassuring, and encouraging. I am fortunate to have a number of “moms” in my life. As we would say in the Mesle family, “it takes a village,” and I certainly am grateful to have such wonderful people in my life supporting me along the way. In addition to my amazing family in Kansas City, I am lucky to have my fabulous Auntie here in California. As the “redheaded McCollister women” (as Tio likes to call us), we make sure to enjoy living in California to the fullest and explore every nook and cranny we can find. 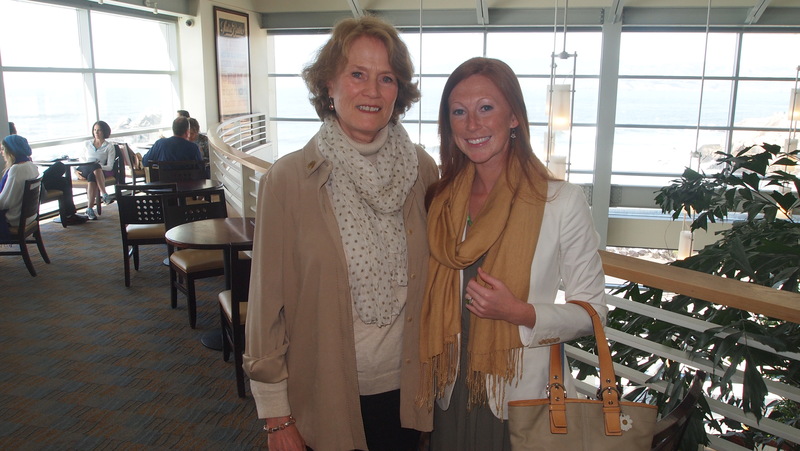 Meg and Auntie spending a day in San Francisco, April 2013. So today, say Thank You to your Mom, your Grandmom, your Auntie, your Bobbie Lou, your Nancy Lee (all of my amazing “moms”). Say Thank You to the women who support you and cheer you on. They are amazing women, and deserve a little extra love on this beautiful day. Happy Mother’s Day to my sweet Mum, and to all the Mothers out there! This entry was posted in Family and tagged Auntie, It takes a village, mother's day, motherly love, Mothers and Daughters, Mum, that's my mama!. Bookmark the permalink. Thanks, Meg. You are the best! And I am grateful you have lots of special women, and men, in your life. None of us can have too many people care about us! Meg, you have your mother’s knack for doing the right thing at the right time. I agree with Terry. This is your best post ever.